ban a breed type in hopes that a tragedy such as this will never happen again.However ,research has shown time and time again that this is not the case. 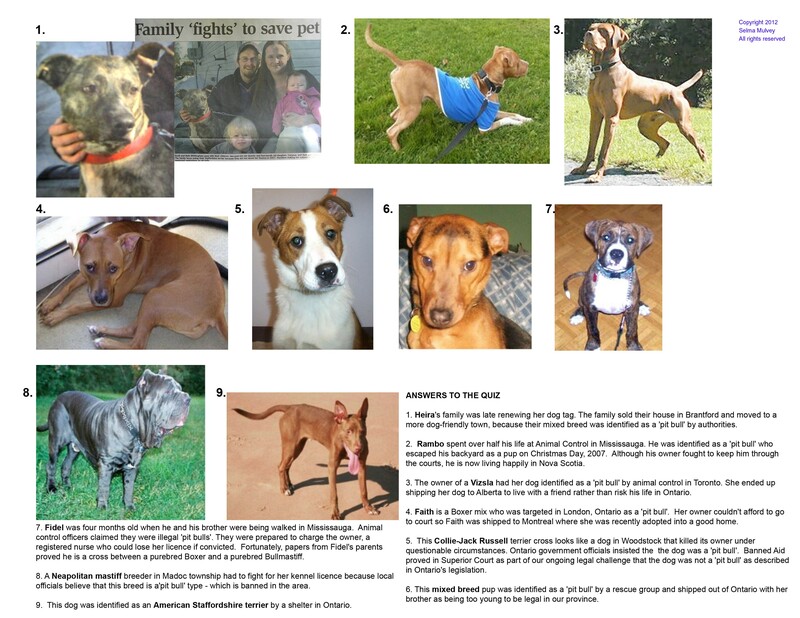 over there have been more incidents involving dog attacks.Its only the breed involved that has changed. this province follow in the failed footstep of others? provinces and countless communities to do just that. your canine companion, and your dog has been snatched away from you. Without cause or reason your dog would be sentenced to death and you could do nothing to stop it. 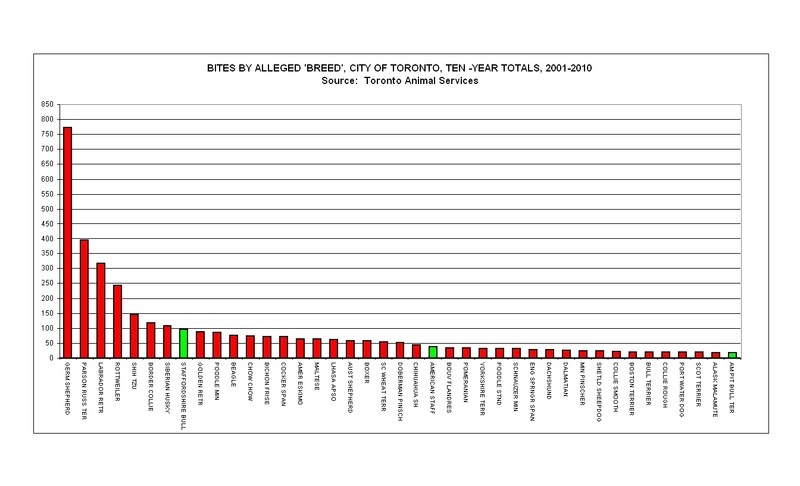 bite statistics because careless owners will then have other breeds / type etc. etc. correlation, not causation. All things being equal, Pit Bulls incredibly high rates in temperament tests. Higher even than Golden Retrievers and many other races. 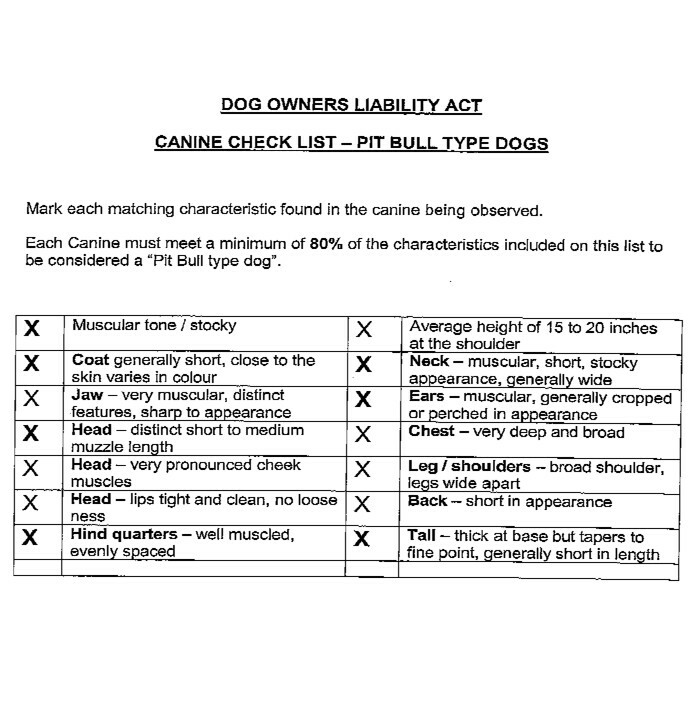 http://www.pickthepit.com/ very few people can actually correctly identify a "pitbull or pitbull mixed race"
Whenever a new unfortunate incident occurs involving a pit bull in the news is the same: some are calling the ban this breed. I am against this idea. "Fighting ignorance since 2003..it's taking longer than we thought." against animals and a red-flag indicator of the potential for animal abusers to be participating in other criminality, including violence toward humans. Political ignorance, owner recklessness and irresponsibility from the minority, has led us to the ongoing fight to protect pit bull type dogs, end Breed Specific Legislation (BSL) and breed discrimination world-wide. Hastily made decisions made by political parties at all level of government continue to impact both animals and humans within our communities. On top of these irrational decisions to implement loose laws, the entire enforcement system for animal welfare needs a great deal of improvement as well. The irresponsibility by the minority goes unpunished and the innocent majority are the ones who are made to suffer with this type of knee jerk reaction to implement laws which, at the end of the day, are not correcting the root of the problem. The citizens of such cities should be outraged by this as no adequate consultation, examining causes or facts was conducted in a democratic manner. Innocent dogs and their families should not have to suffer further by this type of action and enforcement systems that continue to fail the most vulnerable among us. Every individual animal matters.